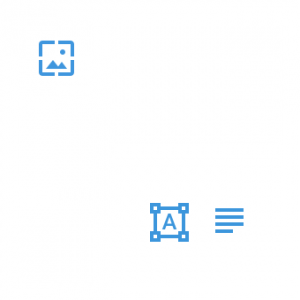 The examples bellow are for updating Widgetize pages light to 1.5 version. For the other two plugins the process is absolutely the same. Then you can go ahead and update your plugin. All my sidebars disappeared after installing the new version. What to do? via FTP go to your installations folder. Why do I need to deactivate first? 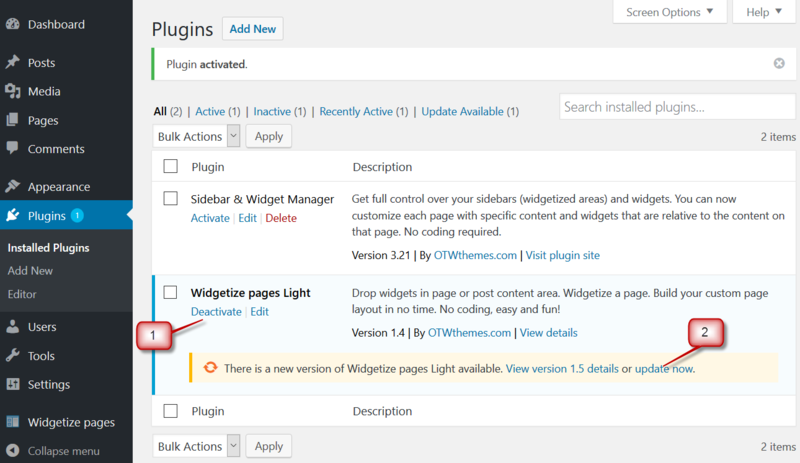 Widgetize pages light 1.5 on installation the plugin used to replace the names for two of the original WP functions so that we can have our own two. This was needed because of the sidebars and widgets replacement functionality. We now have a better way of doing that so no function names replacement is required. The deactivation of the plugin before updating to version 1.5 will restore the original names for those two functions. That’s why you do not have to skip it.